Simulation of red light hitting a rotating prism showing refraction. 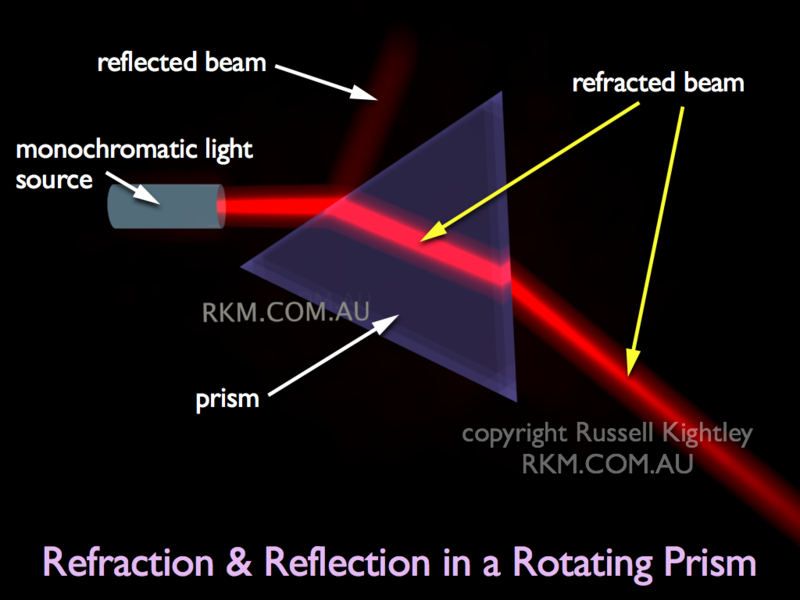 The light striking the prism is refracted and sometimes reflected in this simulation. Different wavelengths are refracted by different amounts as seen in the related Dispersion Animation.